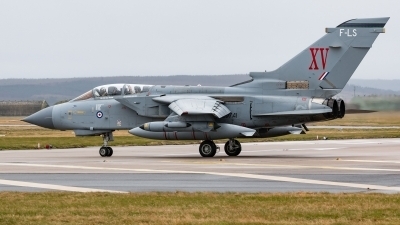 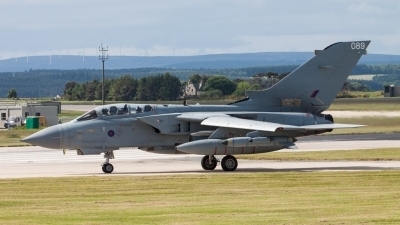 Conditions weren't the greatest to capture the squadrons last operational Tornado sortie out of RAF Lossiemouth. 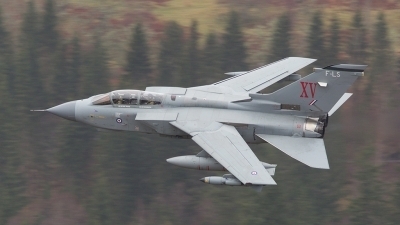 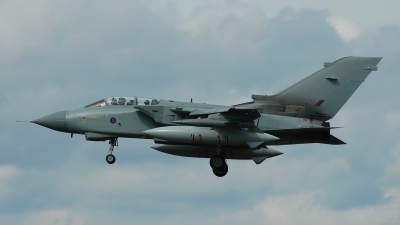 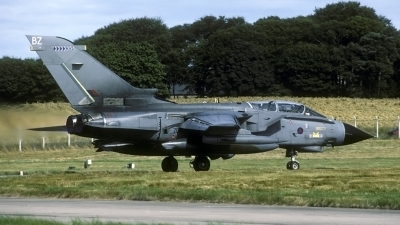 Tornado GR.4 - in this time probably from 31. sq. 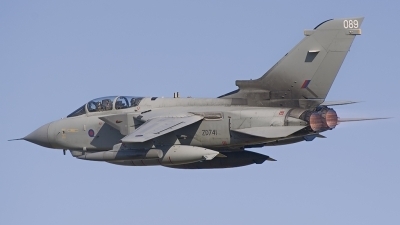 "Goldstars" / RAF station Marham is arriving on CIAF 2006. 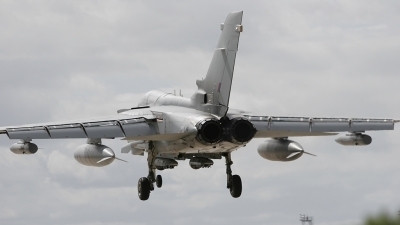 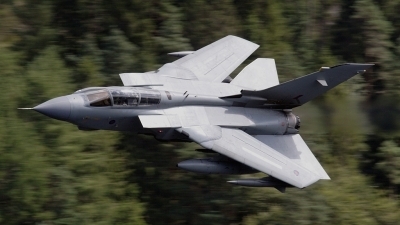 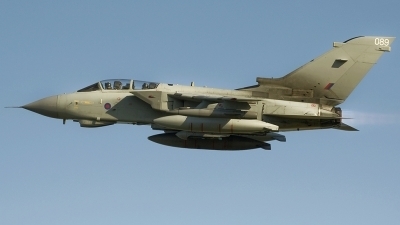 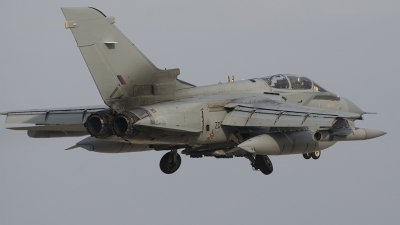 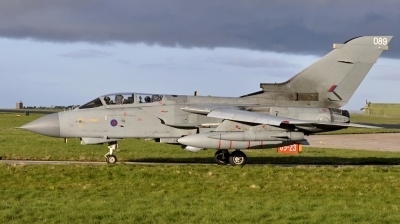 Tornado is equipped with pair of drop tanks about 2250 litres. 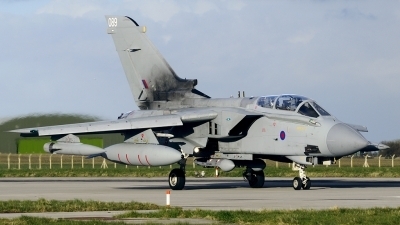 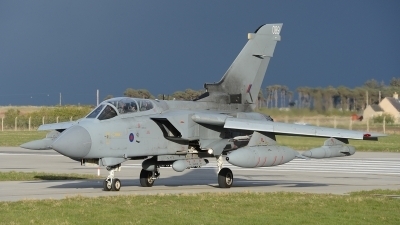 Beautifull Scottish light on this Tornado, just vacated RWY23 at Lossiemouth. 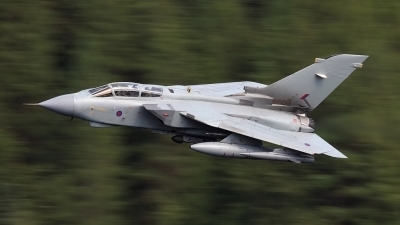 The beautiful lines of a fully swept GR4 at low-level. 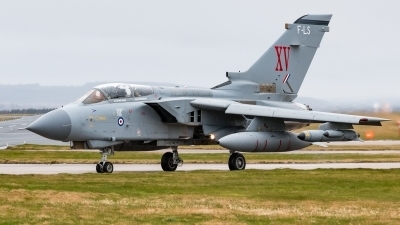 A 14 Sqdn GR4 heads out over the Moray firth during exercise Neptune warrior.